Originally from Johannesburg, South Africa, Avrohom attended Hebrew school through post bar mitzvah, as well as traditional Jewish summer camps. Upon completion of high school, he sought to further his Jewish education. He attended Yeshiva and Rabbinical College from 1990 to 1996 in Johannesburg, Israel, and then in Montreal, Canada, where he received his Rabbinical ordination. He continued with Judaic studies and teaching in New York. He has been at CJDS since 1998, spending most of his time in the business office of CJDS. He enjoys Torah study and outings with his wife, Devorah Leah and their nine children. 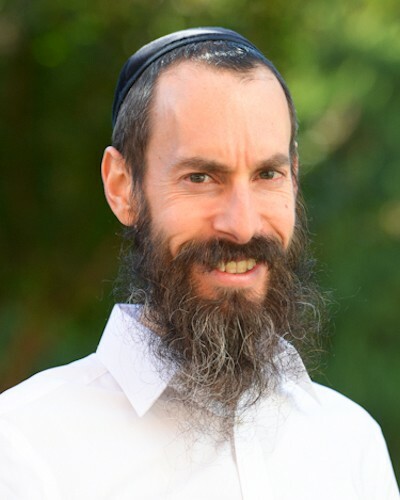 Avrohom believes that his mission is to teach students about who they are and their place in the world by developing their connection to their soul.